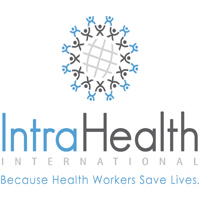 At IntraHealth, we are a global team of creative, committe humanitarians on a mission. We are advocates, technologists, health workers, and communicators. Program officers, finance experts, and technical leaders. We are passionate and diverse. And we're united in our belief that everyone everywhere should have the health care they need to thrive:"rhai's why we work every day to improve the performance of health workers around the world and strengthen the systems in which they work. For almost 40 years in over 100 countries, IntraHealth has parmered with local communities to make sure health workers are present where they're needed most, ready to do the job, connected to the technology they need, and safe to do their very best work. IntraHealth International Tanzania Office is implementing a five-year project . (2016 -2021) named Tohara Plus Project for "Accelerating the Scale- up of " Voluntary Medical Male Circumcision (VMMC) for HIV prevention for Maximum Public Health Impact in the United Republic of Tanzania, under the; President's Emergency Plan for AIDS Relief (PEPFAR)". This project is funded by PEPFAR through the Centers for Disease Control and Prevention (CDC). IntraHealth International Tanzania office is soliciting applications from suitable candidate to fill in the Monitoring and Evaluation Officer Position for IntraHealth Tohara Plus Project. The position will be based in Mwanza. The M&E Officer is responsible for supporting the project in designing and implementing VMMC M&E activities for the IntraHealth International under the leadership of the Monitoring and Evaluation Manager. In close consultation with the M&E Manager, the M&E Officer will ensure the continuous monitoring of program progress in close collaboration with the GoTZ, CDC, and other implementers. H/She will develop the capacity of various stakeholders in data collection, analysis, reporting and evaluation. The M&E Officer will help identify and evaluate best practices and state-of-the-art approaches for the programs and with support from the M&E Manager disseminate overall results to project stakeholders. This position reports to the Monitoring & Evaluation Manager. • Assist M&E Manager to develop, implement THPP monitoring and evaluation activities. • In consultation with M&E Manager, propose priorities for project assessments, operational researches and evaluations related VMMC and coordinate the implementation of researches and field assessment. • Collaborate on the development of supervisory and quality assurance tools for VMMC clinical services. • Build the capacity of health care workers at the facilities implementing VMMC and ensure accurately and timely collection of monthly reports. • Prepare routine reports, presentations, brochures, project summary sheets, newsletters, highlights, project abstracts and other publications as required by the project. • Update data in the program communications, materials periodically. • Travel to sites to provide direct technical support on data quality assurance, data analysis, data interpretations, data use, program data capture tools, and data management Develop/updates dashboards for informing the field teams as per their performance in relation to set targets. • Bachelor degree in Epidemiology or statistics or an equivalent combination of education and experience. • Good understanding of HIV / AIDS care and prevention strategies and in particular VMMC and programs. • Ability to analyze information and evaluation results for planning. • Demonstrated skills in quantitative data analysis, data management and report writing. The closing date for receipt of applications is December 8th, 2017.